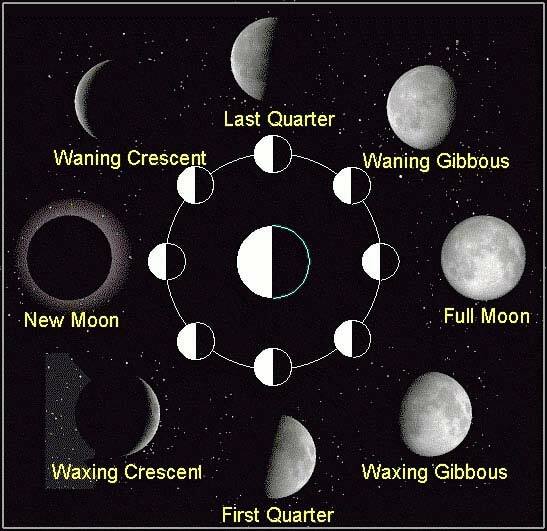 CYCLES OF BECOMING LESSON #2 In this lesson we will explore how this cycle works, it's 29 years, how long each Moon (Lunar) Phase lasts and how to KNOW which PHASE you are CURRENTLY IN. "Bringing Down the Moon" by someone a very long time ago! All celestial energies that come onto the earth must come through the aura or energy field that the Moon has created in its millions of revolutions around our Earth. All planetary influences must also pass through this lunar charged energy field. Our Moon bridges our humanness with the entire universe. The cycles of life on earth are timed by the Moon; its seasons of change govern our earth just as they do our bodies. Because of this, the Moon is in a synchronistic relationship to the SOUL of every human being. Contemplate this mystery...........................................................ahhhhhhhhhhhh, all this time we just KNEW the MOON, our MOON was there for us to help unravel some of that mystery of our life, heart and soul! That means that the MOON is MODULATOR of all spiritual, celestial energy. Further, it Cycles in its relationship to the SUN, which is a tremendous storehouse of POWER that continually sends us its SPIRIT. Our Moon (both personal and collective) STEPS DOWN this intense energy so that we are not flooded with it. Our Moon regulates this energy so that the Life-giving process of the FEMININE can receive spirit and bring it down to earth and into our human body which is our precious vehicle, the house for our SOUL. We are "becoming" strong women with our own personal identify! 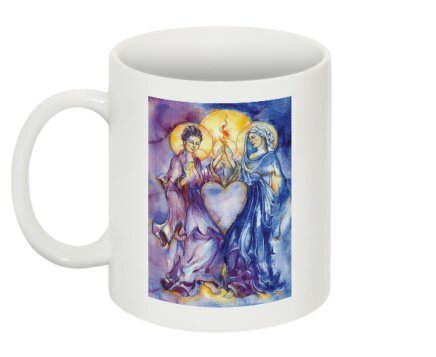 go HERE to get this as a card or piece of art - this is our most popular design in women's art at the current time!!!! Your body is like the EARTH. It is alive, breathing, mindful and full of consciousness. It carries you around and HOLDS the MOON as SOUL FORCE that guides your creative growth during gestation and your individual Being in consciousness. Just as the moon in space stands between the sun and the earth, so the moon (your soul) also stands between you and the power of the SUN, your channel for spirit. The Moon is your emotional and intuitive link to your true self. When the Moon is full it reflects back to you the full power of spirit. When the moon is dark it is in its resting up period. It hones the past, your experiences, and creates WISDOM during its dark times. 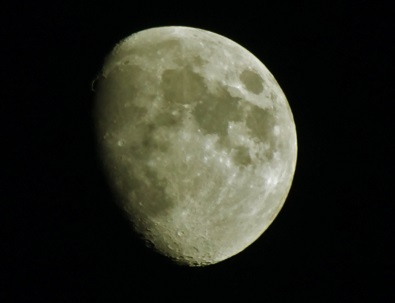 You know this IN your body as a woman because you cycle with the moon from the time you are a young teenager or preteen until you go into your resting or reflective menopausal years. This is your period. It is PERIODIC. It happens about every 28-29 days. You wax and wane. Your body grows in energy and then it withdraws that energy so it may rest and regenerate. In the Language of Astrology we also have a period. 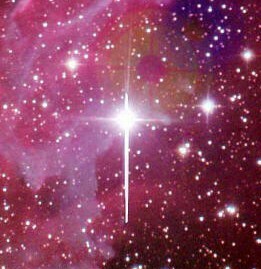 We have a periodic 29 Year CYCLE that corresponds to the creative energetic of having a period. In Astrology we say that “one day equals one year” in your progressed chart. In other words, you are born, you take your first breathe and that imprints you with the universe “as it is” at that precise moment in time and space. This makes you a unique creation in the entire Universe. My eternal gratitude goes out to this man, Dane Rudhyar, who helped me to comprehend the true value and worth of the MOON. You can get this book on Amazon.com...it's a little bit technical but for those of you who may want to teach this to others, it would be good to have it. 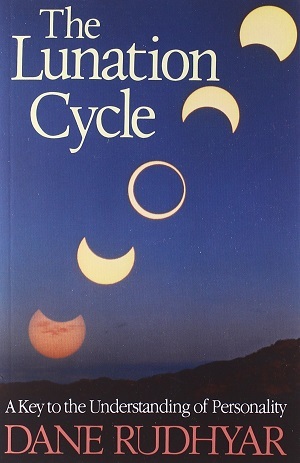 This GREAT MOON CYCLE will occur approximately three times in every person’s lifetime. It is a little like having three lifetimes in ONE. Each time you begin a NEW MOON CYCLE you begin a new journey of EXPERIENCE in life that gives you the vital experience that your soul NEEDS in order to make meaning and eventually hone this meaning into WISDOM. 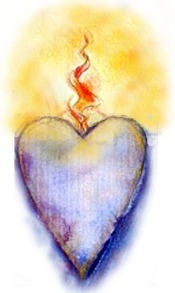 "WISDOM BRINGS IN LIGHT AND WHOLENESS AND DIVINE HUMAN CHARACTER." This WISDOM is what the SOUL is after because it is WISDOM that brings in the LIGHT! Slowly you become a body filled with LIGHT and WISDOM as you age and grow. go HERE to see how you can get all 8 lunar phases from Sharon's art. When you acquire Lunar KNOWLEDGE you can chart your life with more freedom and more correct choices. Choices that will be WITH THE FLOW of your Soul and what task it is asking of you now. Knowledge of this cycle will bring a new kind of understanding and faith to your life. We are on a Spiritual Pathway when we study how our MOON helps us to become BEINGS OF LIGHT and LOVE. Your knowledge of your Soul's current life PHASE will help you to reframe your experiences, gain clearer vision and temper your activity accordingly. 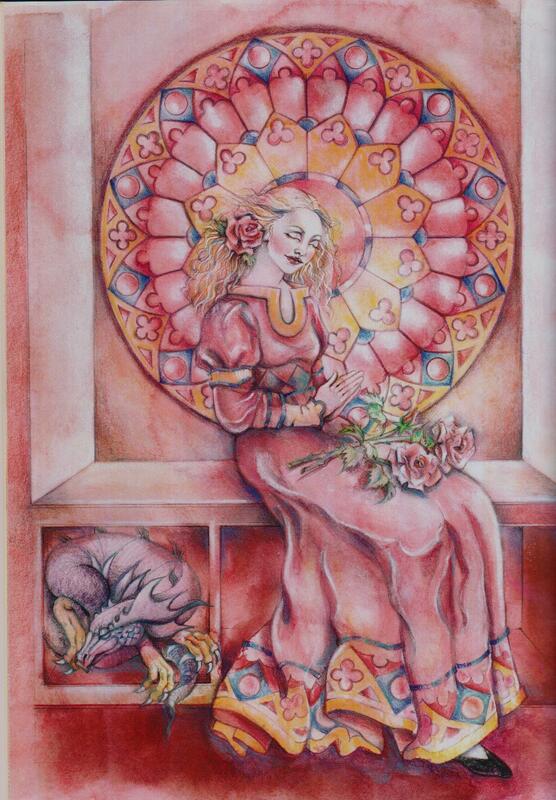 THIS IS A VERY FEMININE WAY TO LIVE, to know your Great Moon ( or 29 Year "Lunation") Cycle. You can become more keenly aware of your body’s needs for activity or rest. 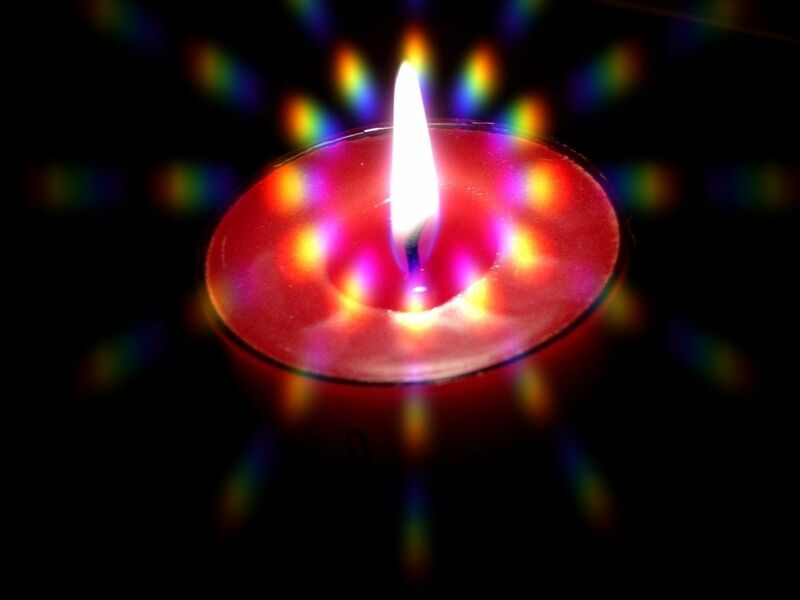 When you tune in this way you grow more quickly into consciousness and light. You learn to consciously HOLD this lovely LUNAR ENERGY and honor your cycles of growth and fruition in a whole new way. 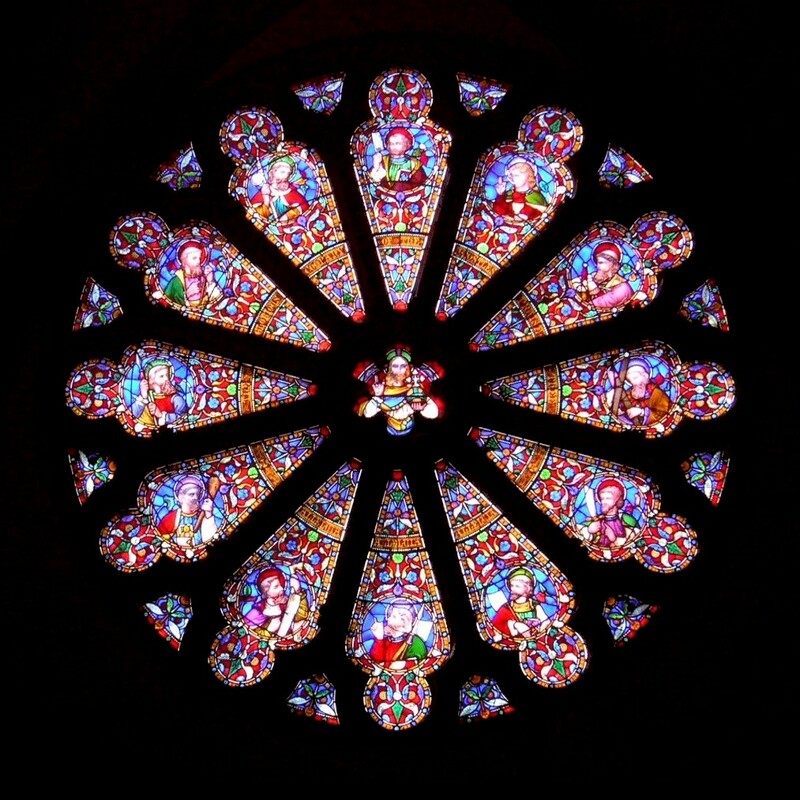 And it is a WHOLE way because it is the way of the circle, the wheel of life. The divine wholeness is within you and this Lunar Knowing helps you to capture it in a kind of SURRENDER to your True Self way. This is a Woman’s Way to power and wisdom, to learn about her own immortality and genius in living a good life. 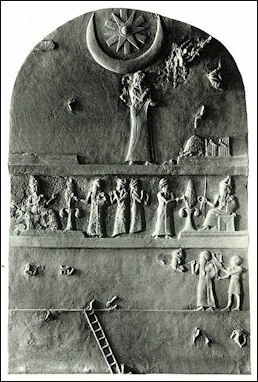 This is an ancient symbol of WOMAN BRINGING DOWN THE LUNAR ENERGY INTO HER BODY. 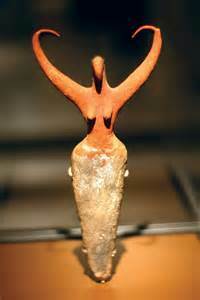 Usually, it is defined as a "Fertility Goddess" , I like to think of her as a "Fertility Genius"! 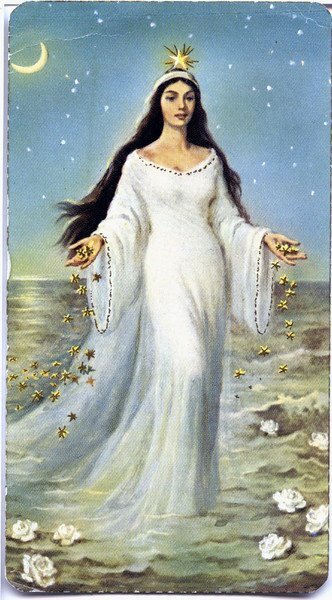 Not only does she HOLD the lunar energy for cycles that govern reproduction but also the HOLDING and carrying forth of the creative energy of self enlightenment and growth. Our Moon regulates energy so that the Life-giving process of the FEMININE can receive spirit and bring it down to earth and into our human body, which is our precious vehicle, the house for the SOUL. 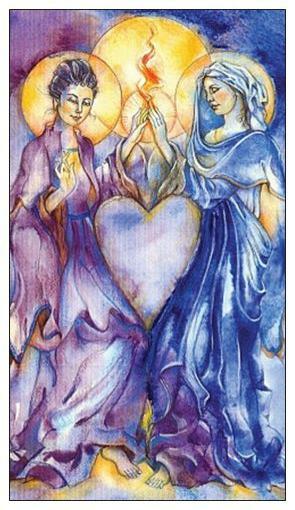 We are in ANCIENT TERRITORY and yet we are in the territory of the Divine Feminine here on EARTH right now, and we are so fortunate to be a part of this conscious ensouling. HOW DOES THIS CYCLE OF BECOMING WORK IN MY CHART? First, you'll need to find what phase your Moon was in at your birth. This phase will last approximately 3 and 1/2 years plus a few months. So, for instance, if you started out life in a Full Moon Birth Phase, then at age 3 and 1/2 you go into the next phase, the Dissemenating Moon Phase. 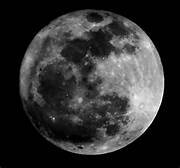 Every lunar phase last approximately 3 and 1/2 years plus or minus a few months. EXAMPLE: If say you are age 50 and you were born a First Quarter Moon Phase. From your birth, your progressed Moon will go around the wheel once and at age 29, you'd be back at your First Quarter Moon Phase, then add 14 years later,...you now arrive at Last Quarter and you were apprx. age 43 plus a few months...(29 years plus 14 years) into your Last Quarter Moon Phase, ....then add 7 more years to the 43 and this brings you to your current age, 50. 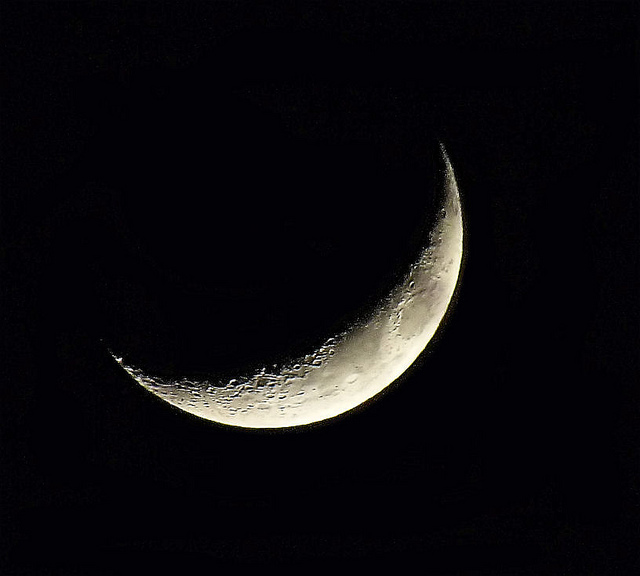 You would arrive at the end of your Balsamic Cycle and the beginning of a New Moon Cycle. Each quarter of the circle is about 7 seven years plus a few months. the full power of spirit. When the moon is dark it is in its resting up period. WISDOM during its dark times. Another way to find your current Moon Phase (if you have a planetary ephemeris) is to count the number of years you are from the date of your birth and look to see what degree and sign the Moon is in now for you - this is called a Progressed Chart. So, it's one day = one year from the date of your birth counting the days in your ephemeris. If you compare the Moon to the Sign by progression you can know it's PHASE> I realize MOST of you may not have an ephemeris or this may seem way out there - DON'T WORRY - this method is just for those aspiring astrologers. Does this symbol have more meaning for you now? You can get an inkling of our ancestors' comprehension of the importance of body and soul to our journey in life as 'Maid, Mother, and Crone'. Each 3 and 1/2 year phase of the Moon requries a different task and its energetic expression is like the ebbing and flowing of the ocean. You will learn about each one in the upcoming lessons. "This is a Woman’s Way to power and wisdom, to learn about her own immortality and genius in living a good life." 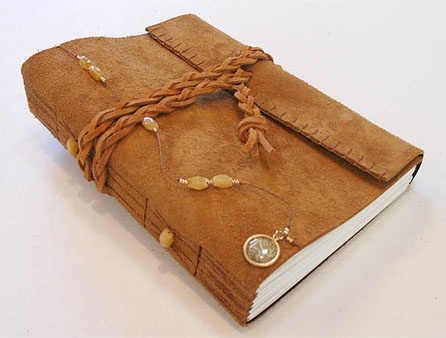 Did some of you remember to take our your JOURNALS and take notes? Sometimes our journals have a way of being forgotten at important moments like this - do not forget to write down what you have gleaned. 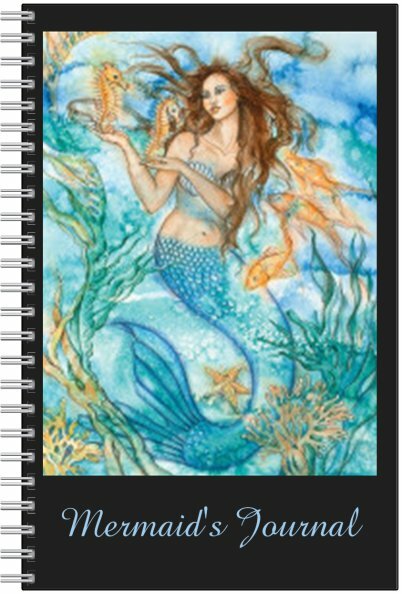 along with 'Mermaid' and 'Strength' Journals! We'd love to see you. I work there on Tuesdays from 11 'til 2 (selling my gemstone jewelry) and Sharon works Fridays 11 'til 2! Hope to see some of your Goddess faces in real life! Made in Ojai is next door to Java Joe's on Matilija Street down from Rainbow Bridge in the back of the Ojai Arcade. 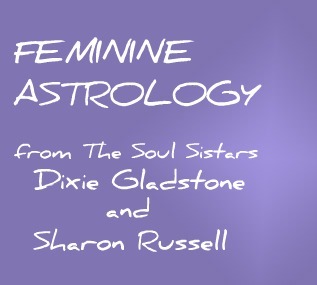 IF YOU CAN'T FIND YOUR CURRENT MOON PHASE EMAIL ME AT dixiegladstone@yahoo.com with your name, birth date, birth time and place and I will find it 'precisely' for you. Some of you would like to pay me something for doing this - so if you like you can send $20 (the old-fashioned way with a check or MO) to Dixie Gladstone and postmark it P.O. Box 123, Oak View, California 93022...otherwise for those of you on limited income - IT'S FREE from ME! In my next CYCLES OF BECOMING we will begin at the beginning.....on the Moon (Lunar) Phase called THE SEED or NEW MOON PHASE. This is the 1st phase of the Moon's Cycle. 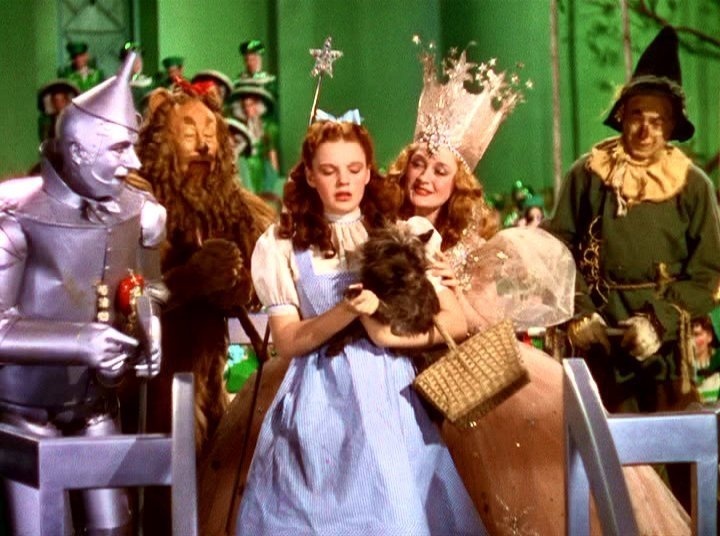 Also, this information will be presented with the help of Frank Baum's story, DOROTHY AND THE WONDERFUL WIZARD OF OZ. Oh, can't wait! Read about each phase (I'll be trying to get out one per week or 10 days) - there will be 8 all together....in that way you will get a feeling for the flow of energy that the Moon is sending you and how it flows out and then returns to source...I think you will enjoy this dear friends. 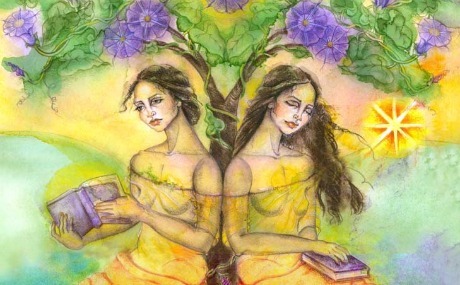 Please come join us on this JOURNEY to the SELF - your self, a journey of light and love and feminine wisdom! Yes, you CAN, you have my permission to forward this page or my website link to any friend anywhere, and anytime...... as this 29 Year Lunation Cycle info is in the timeless world of the Soul and will never be outdated! 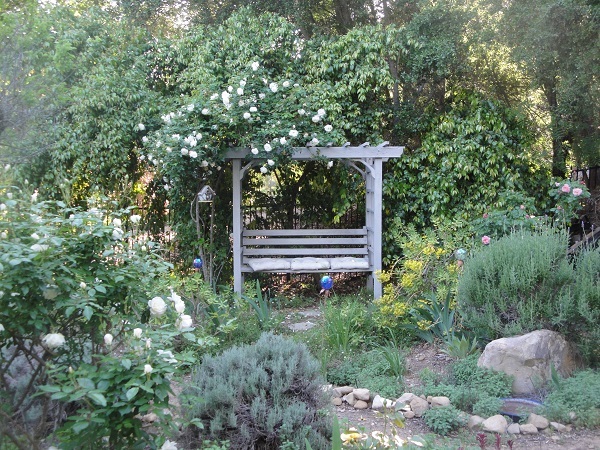 Happy Springtime from my soul garden to yours! Have a wonderful day, girlfriends,... contemplaing the Mysteries of Life!